One guided the most decorated U.S. gymnast in history to a string of three World all-around titles and the Olympic all-around gold. 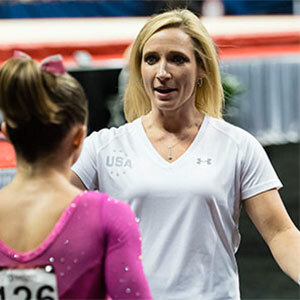 The other – who happened to make history for Team USA 26 years ago, winning the U.S.’s first-ever World all-around title – has coached six women to the senior national team, eight to the junior team and 23 to the Junior Olympic national team. And, today, the U.S. Olympic Committee honors both for their coaching accomplishments: Aimee Boorman as U.S. Olympic Committee Co-Coach of the Year and Kim Zmeskal-Burdette as U.S. Olympic Committee Developmental Coach of the Year. 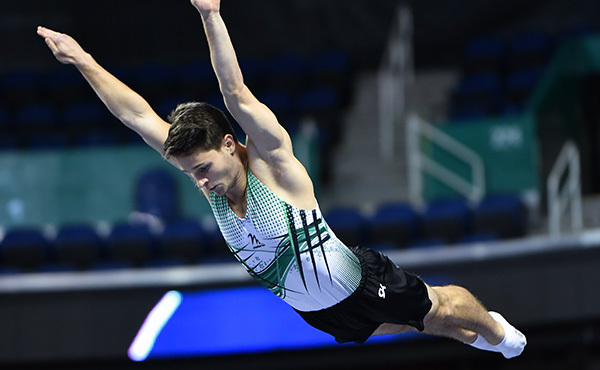 The awards are the first for a gymnastics coach in the awards' 20-year history. 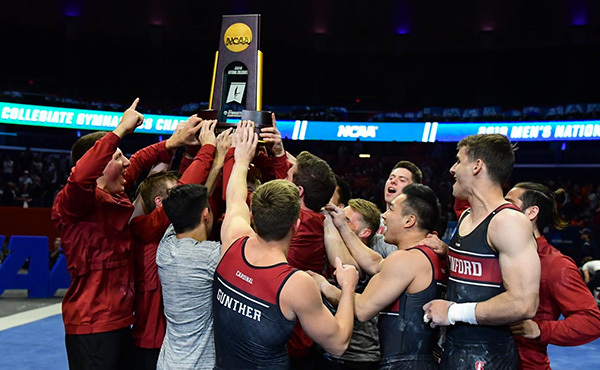 Although Boorman and Zmeskal-Burdette each bring different backgrounds to their role as coach, each has learned from the other’s styles. 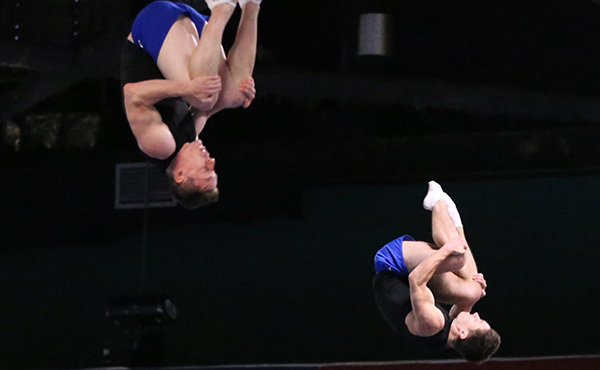 Likewise, Boorman said she admires Zmeskal-Burdette’s focus on the individual, saying that the two agree on developing the whole athlete, not just the gymnast. Zmeskal-Burdette credits the relationships between fellow coaches within the U.S. system, where coaches work closely together year-round for national team and developmental camps and at international assignments, for much of the success of the women’s program over nearly the last two decades. 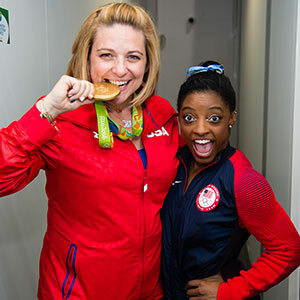 That’s how Boorman, the 2016 U.S. women’s Olympic head coach and long-time coach of four-time Olympic gold medalist Simone Biles, described her coaching outlook. It’s a philosophy that helped Boorman, who moved to Sarasota, Fla, after the Olympics to join EVO Athletics, guide her star pupil through tough times like a meltdown performance at the 2013 U.S. Classic, a 2014 shoulder injury that kept her out of competition much of the year, and increasing pressure as Biles geared up for her historic third-straight World all-around title and her medal-winning run in Rio. Struggles, Boorman says, she was prepared for by making sure she opens the lines of communication with all her athletes from the beginning. Boorman’s focus on communication and getting the best out of Biles each day in practice did not go unnoticed. Biles got started in the sport at the age of 6, after her parents noticed she was “hyperactive.” On a field trip to a gym, Boorman’s mom, Ronnie, first noticed Biles performing round-off back handsprings on the trampoline, a move her brother taught her in the backyard. 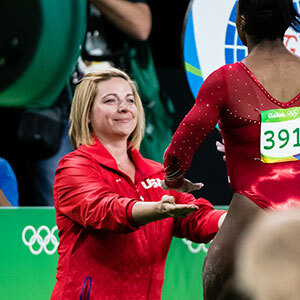 A week later, Boorman connected with Biles, forming a bond that would take the duo to heights never before seen in U.S. gymnastics history. As the pressure and media attention mounted in last year’s high-pressure Olympic year, Boorman worked with Biles on how she approached competition and training, pushing away other people’s expectations as just that: other people’s expectations. “I think the biggest thing I said to her was, ‘People’s expectations are their problems, you are not responsible for their expectations,’” Boorman said. “Simone was told all along the way by her parents, by me, by her other coaches, if you don’t want to do this, you don’t have to do this,” added Boorman. “It’s not who you are, it is what you do. You do gymnastics, you are not a gymnast. You are Simone. 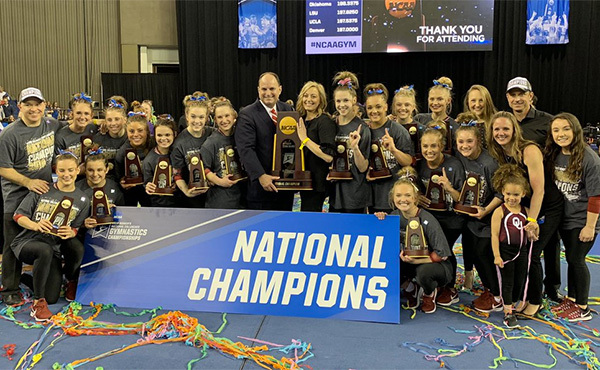 Zmeskal-Burdette credits what she calls the “biggest letdown” of her competitive career with not only the perspective that forms her coaching career, but also with her coaching career as a whole. Zmeskal-Burdette, the 1991 World all-around champion and 1992 World balance beam and floor exercise champion, was considered a favorite for all-around gold at the 1992 Olympic Games in Barcelona. 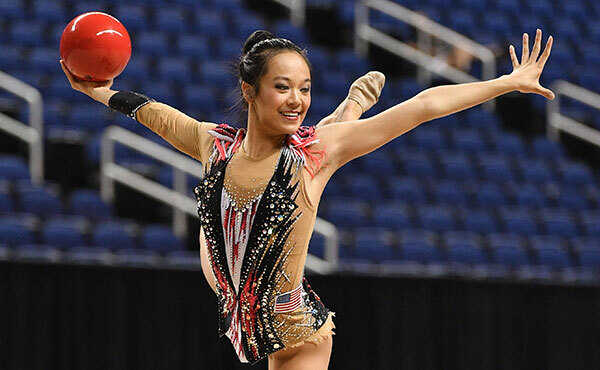 Her 39.687 in the team optionals round, the highest score that day, helped Team USA to its first women’s team medal in a non-boycotted Games since 1948, but a stress fracture in her ankle hampered her performance in the all-around final where she finished 10th. “I sincerely don’t think I would be coaching had things gone differently. I don’t know if I would have met my husband,” Zmeskal-Burdette said. “I really try to hold that perspective with the girls that I coach. She and husband Chris Burdette opened Texas Dreams Gymnastics in Coppell, Texas, in 2001. Shortly thereafter, the duo emerged as a national force. In 2003, they guided Tiffany Tolnay and Brittany Magee to the Junior Olympic National Team. Both would go on to be collegiate standouts. Magee, senior, and Meghan Blair, junior, were Zmeskal-Burdette’s first athletes to make the U.S. National Team in 2004. Zmeskal-Burdette has guided 23 women to the Junior Olympic Team, eight to the junior national team and six to the senior national team. She has had a member of the junior national team consecutively since 2010 and the senior team since 2012. “There is no perfect career. It’s a life,” said Zmeskal-Burdette. “I haven’t met many people who can go through a career and feel like there’s not just one other thing that they wish they would have had, but they become the person who ‘could’ no matter what.